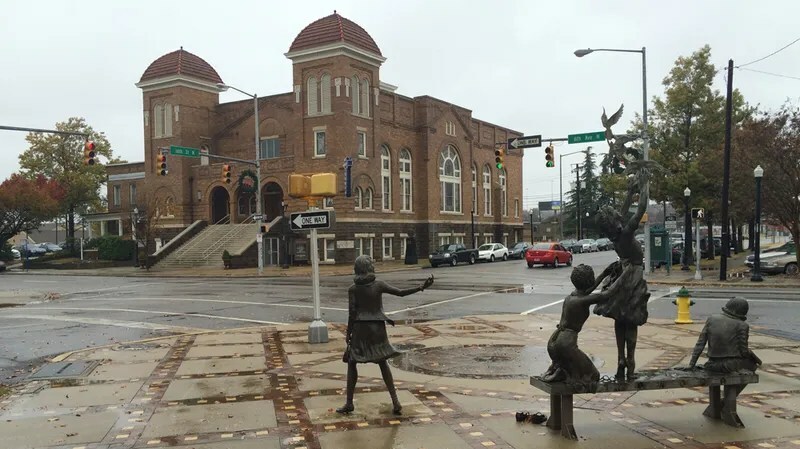 Kelly Ingram Park is next to the Birmingham Civil Rights Institute and catty corner the church. A circular path traces the small squarish lawn, speckled with trees – orange and red for the season – and flanked by signs marking the city’s infamous past, hopes for a brighter tomorrow, and warnings to keep all behavior within the park grounds quiet and respectful. Often such signs are looked upon with derision by visitors (why not walk on the grass, some might ask), but here it seems all too appropriate. 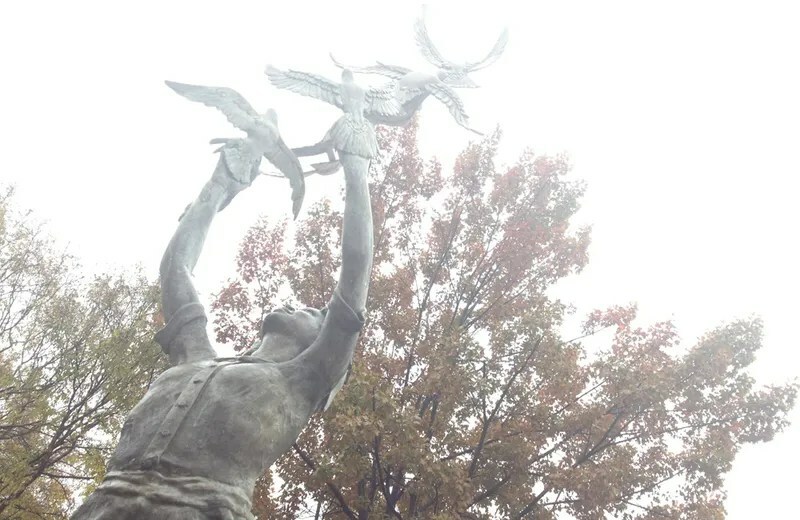 The path – the Freedom Walk – hosts several foreboding metal statues, each depicting events from the Civil Rights struggle. 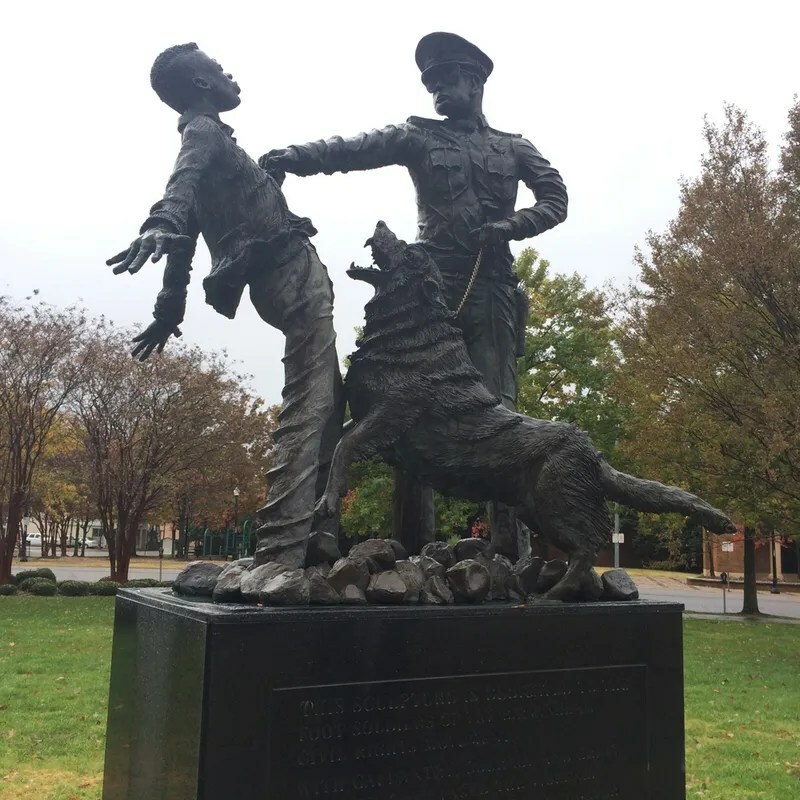 Plaques describe the events in no uncertain terms as “racist cops” are depicted beating protesters and water cannons stand poised to blast away at a hapless couple. In one surreal section, attack dogs spring from stark flat walls, placing each park visitor in a position beneath their snarling fury. 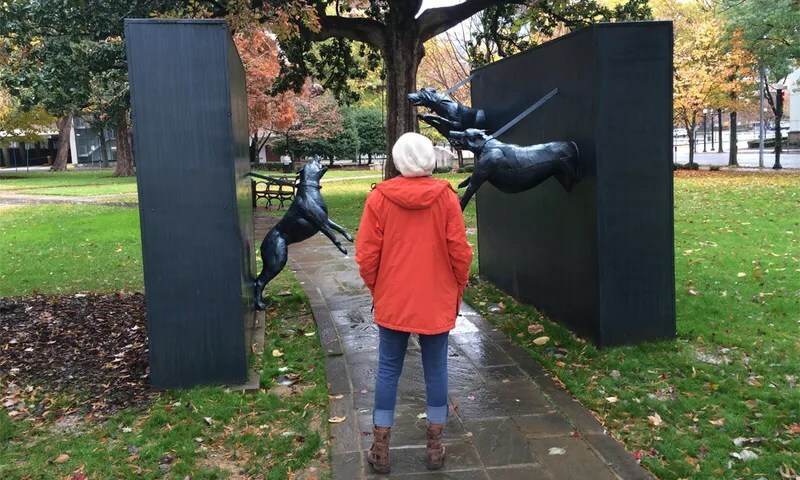 Among the various scenes of distress, the statues of revered political and religious leaders and the reliefs of various Civil Rights pioneers, the most powerful exhibit sits peacefully in the park’s western corner. There, four girls play and prepare for church. 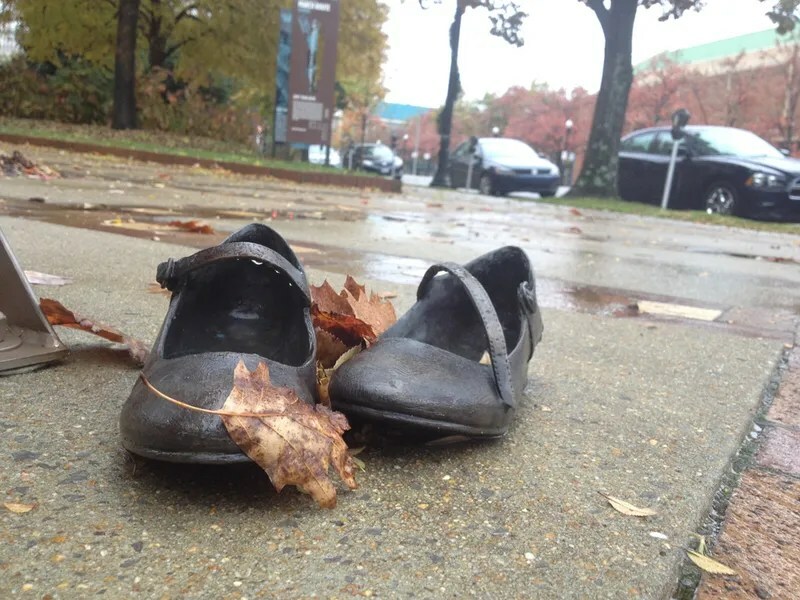 This story was originally published on the Kinja blog of Kevin Garcia on Dec. 1st, 2014.